area which is a very important area for surfers as we spend a lot of time sitting around on our boards with these areas submerged. 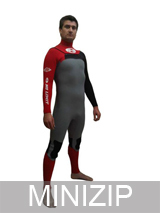 No Limit wetsuits can guarantee a perfect fitting wetsuit. This is enabled by collecting over twenty measurements from the individual. From these measurements the suit can be sculpted to fit the individual perfectly. There will be no overly tight areas (restricting blood flow) or no baggy areas where pools of water can form. No Limit demands the waist and kidney area to be very snug so a potential pool is unable to form. 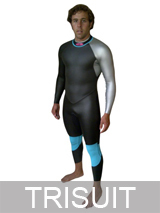 Elsewhere the suit will sit on the skin with the perfect amount of neoprene tension to produce a crinkle, crease free wetsuit that’s flexible and comfortable. body is unrestricted. 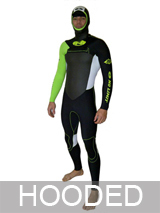 These high performance no Limit wetsuits incorporate flexibility that is second to none. 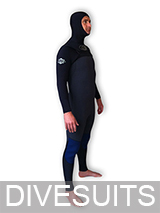 These wetsuit’s were first demanded by No Limit sponsored riders for high performance, attitude-riddled surfing. They are the number one prescribed answer, ergonomically designed maximum flex and warmth and now sold as standard. 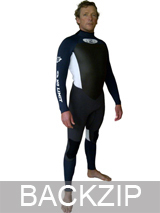 One process No Limit wetsuits employs involves starting off the wetsuit with 0.5mm thicker ultrastretch neo than usual to ensure that when the neo is stretched the thickness of the wetsuit is not lost.